These beautiful ACEO prints are a high quality giclee reproductions from my original paintings. Beautiful collector's edition! Signed and dated by me on the back. This unique giclée prints are printed using Epson's archival ultrachrome pigmented inks (which are guaranteed not to fade for at least 100+ years) on a museum quality, acid-free, 100% cotton rag, archival, bright white Velvet Fine Art Paper. My prints are smudge resistant, long lasting, and fade resistant! Securely packaged using plastic sleeve and shipped inside a protective flat, stiff envelope within 2-3 business days after receiving your payment. ACEO is 2.5" x 3.5" collectable work of art. (the size of traditional trading cards). © Copyright 2018. Helen Janow Miqueo. All rights reserved. 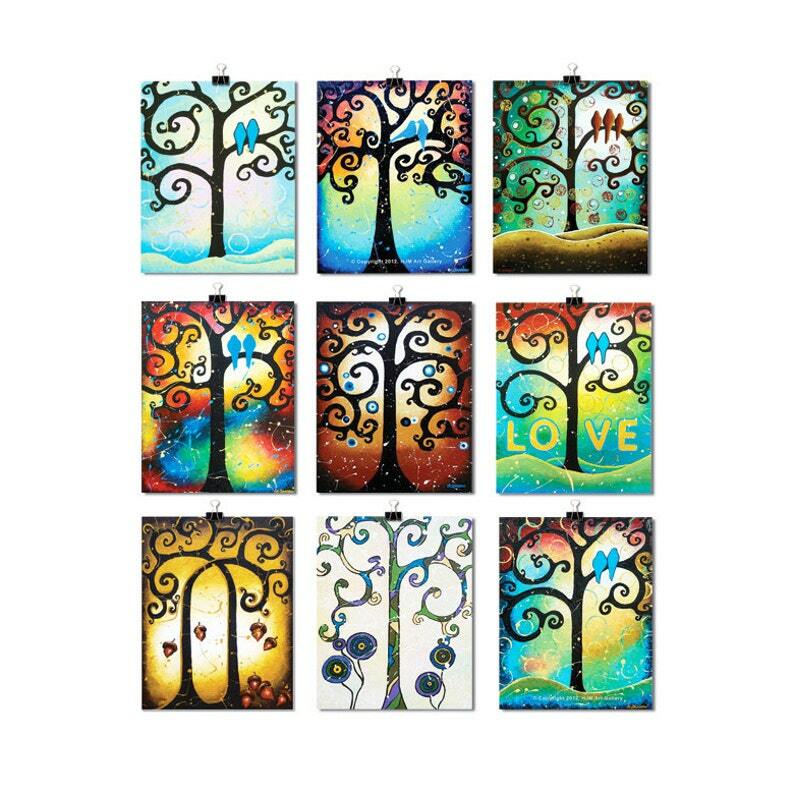 Coworker Gift, ACEO Prints, Tree of Life Woodland Art Whimsical Folk Art, ATC Artist Trading Cards Set of 9 Signed Prints 2.5" x 3.5"